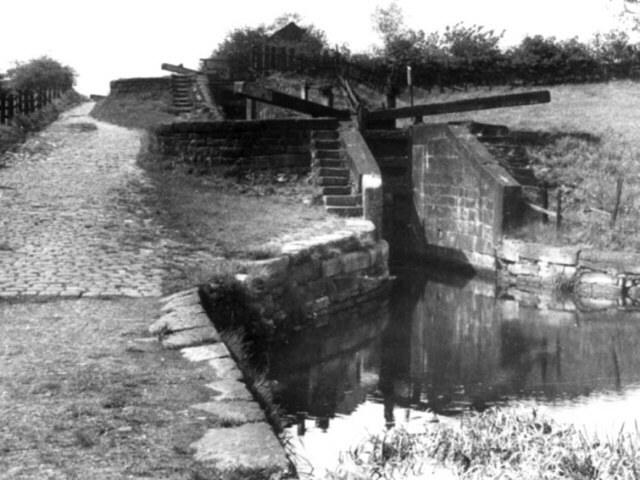 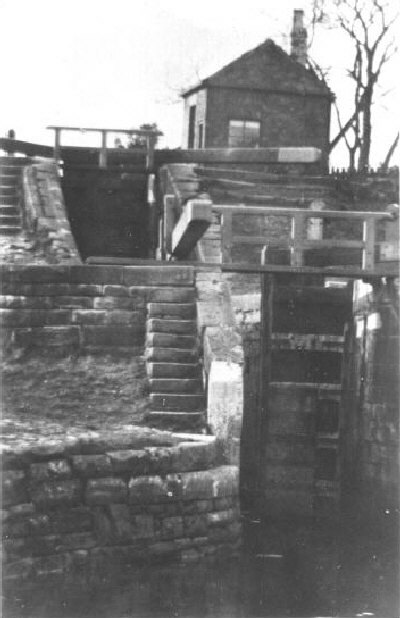 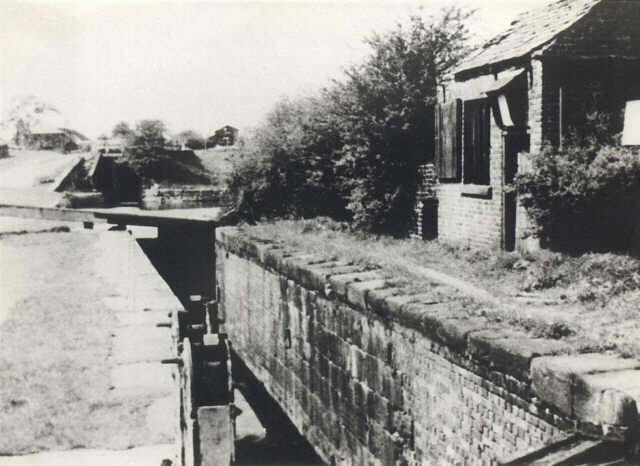 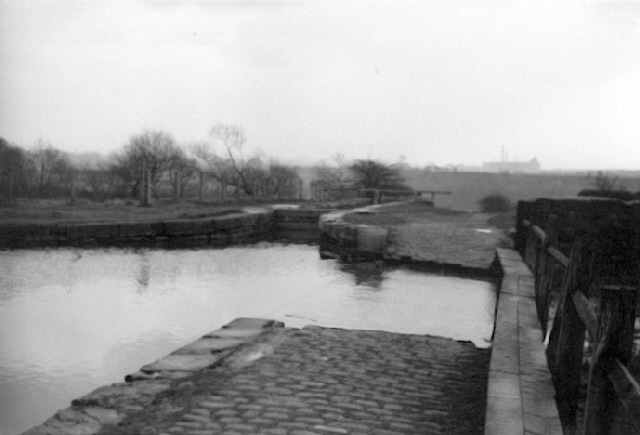 The staircase locks at Waterhouses, Daisy Nook (Ashton Canal Locks 20 and 21) (1940s). 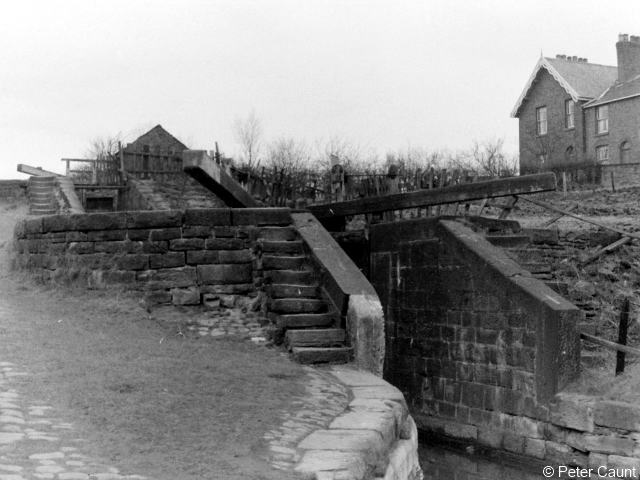 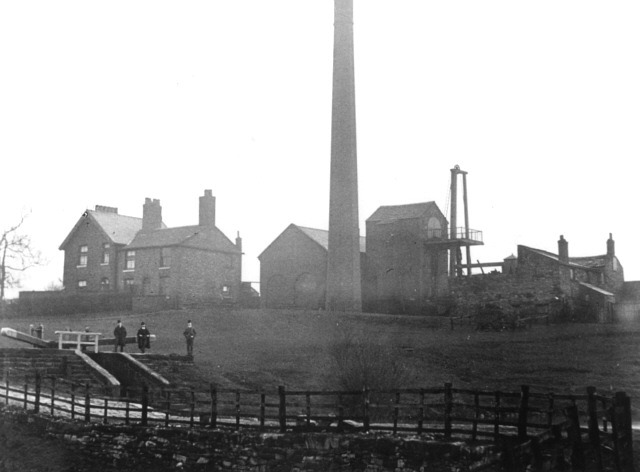 The staircase locks at Waterhouses [1940s]. 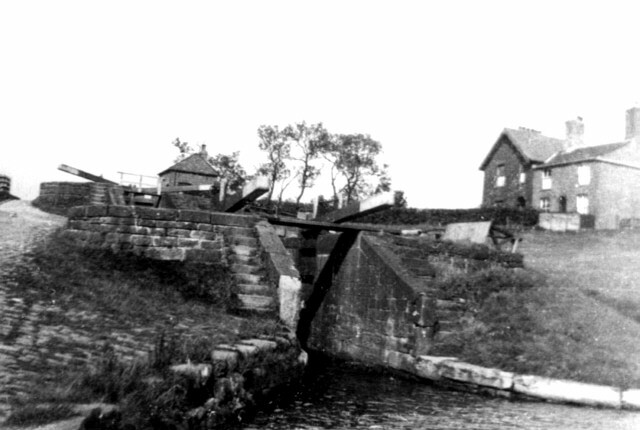 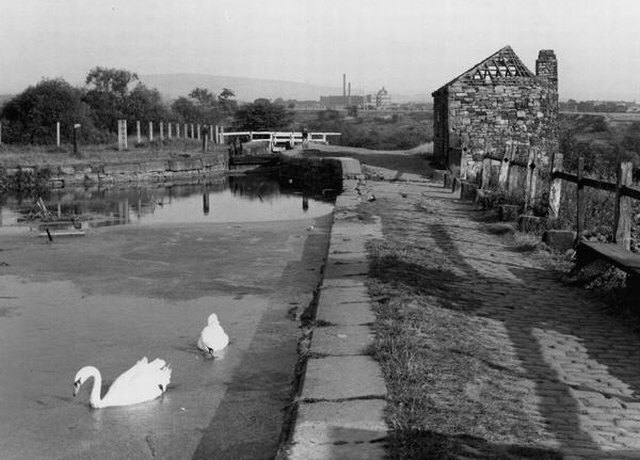 The staircase locks at Waterhouses [1950s]. 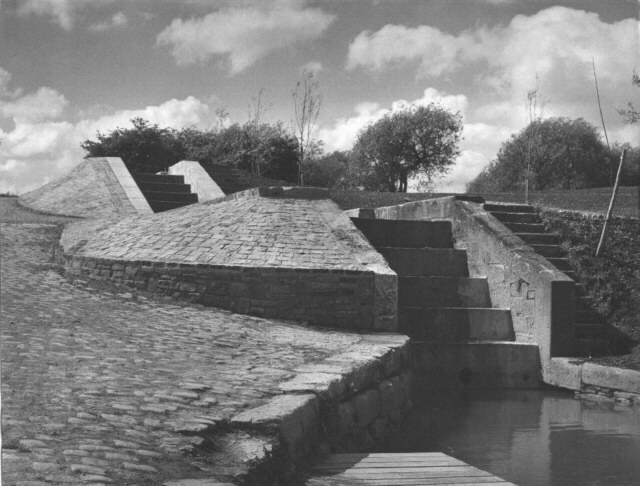 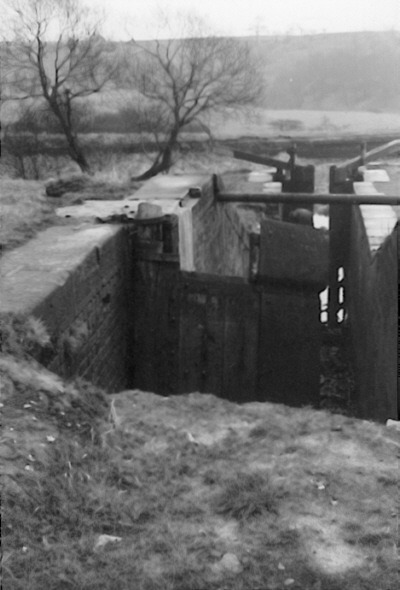 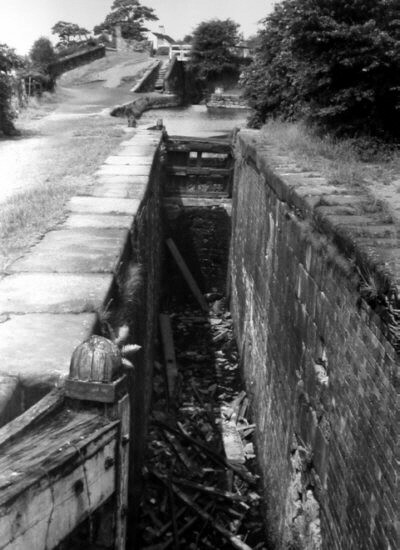 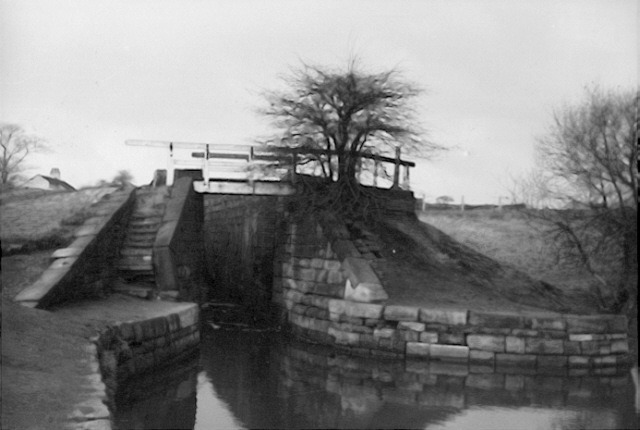 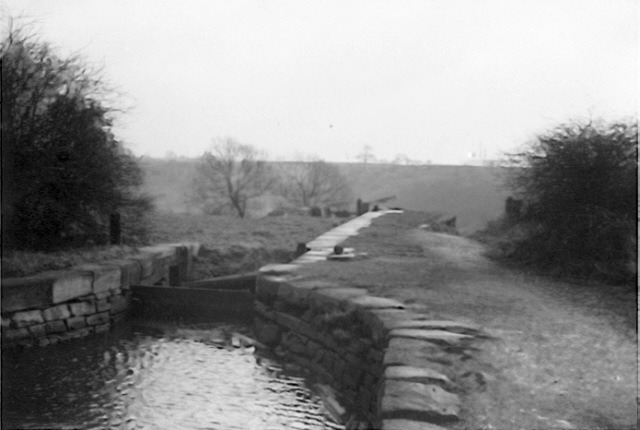 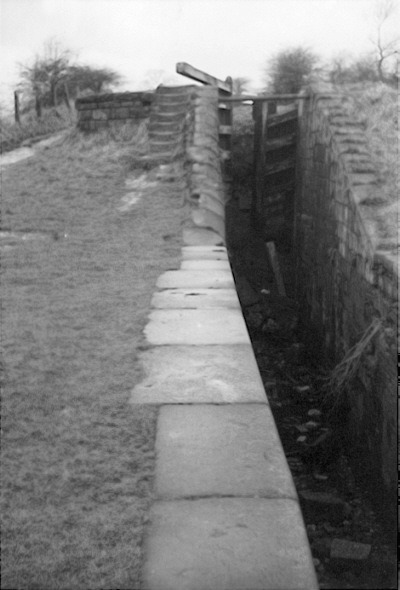 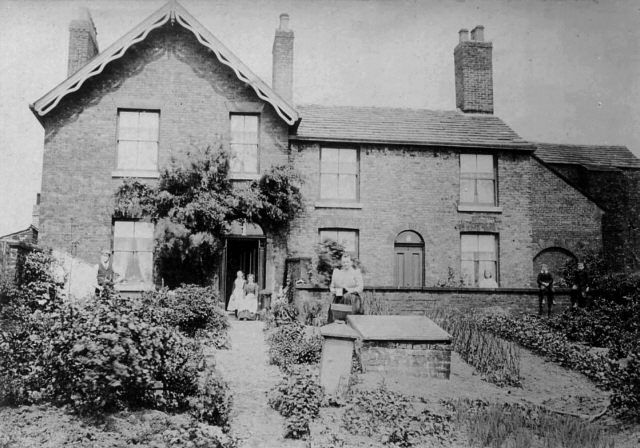 The staircase locks after the creation of the Country Park (1970s). 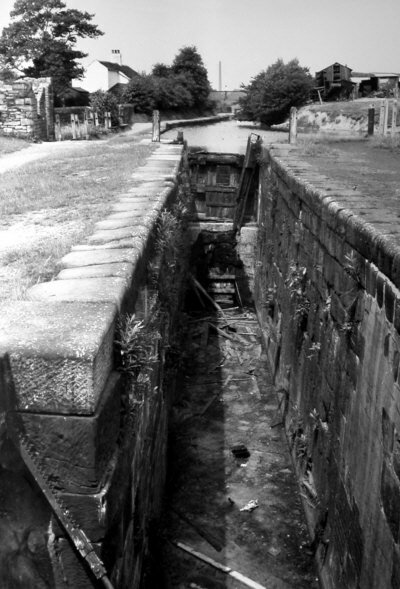 The top lock at Waterhouses, looking along the chamber from the lock tail bridge. 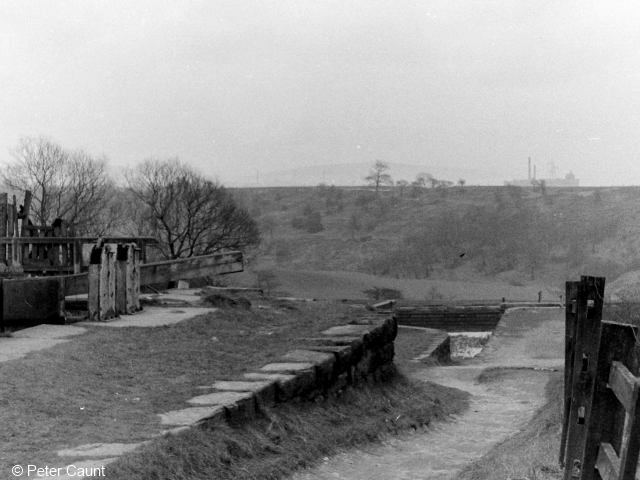 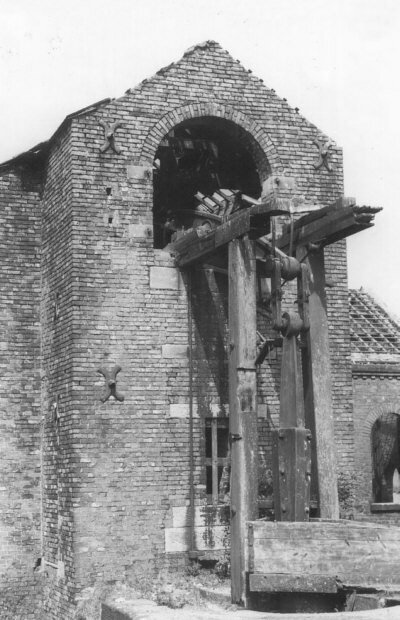 The top gate has been replaced with a stone wall (1962). 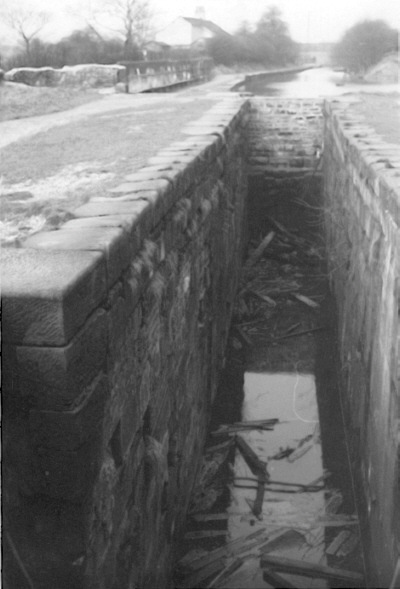 Photos credited to Chris K. Potter Archive: these may be freely reproduced subject to acknowledgement of "Chris K. Potter Archive" as source. 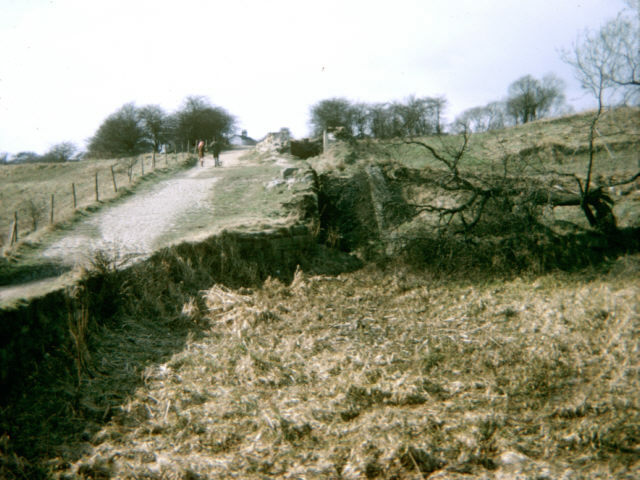 Other photos may not be reproduced without permission of the photographer or collector.